On January 5, 2016, emergency crews were called to Our Kids Daycare and Learning Center in Middleton, Idaho. The reason: concern for carbon monoxide poisoning. The daycare center’s director, Robin Hagaman, noted that some of the 12 toddlers in the classroom were acting strangely when they awakened from their naps and were also noted to have dilated pupils. In addition, two of the teachers were simultaneously experiencing headaches and nausea. The kids were moved out of that room toward another end of the facility but carbon monoxide was not found to be the cause for the symptoms. Instead, blame was shifted to the essential oil diffuser found in the classroom. 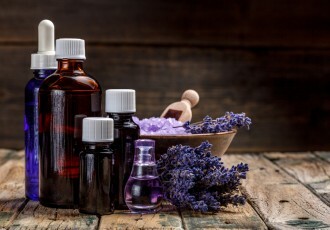 What are essential oils, and why are they used? Pure essential oils are very concentrated. In the Idaho daycare case, one theory proposed is that they could have used too much in the oil diffuser. Another was that cinnamon was added to enhance the aroma, causing additional symptoms. The most common unpleasant symptoms as a result of using essential oils include headaches, irritation of the skin, and skin breakdown. In sensitive individuals with asthma, diffused essential oils may trigger an asthma attack. Some essential oils are poisonous if absorbed through the skin or swallowed. So what’s the verdict, Doctor? Long story-short: nobody really knows if all essential oils are truly safe. Ugh…that’s probably not what you wanted to read (sorry if you made it this far, only to be disappointed). Did I try rubbing Vicks® VapoRub™ on the bottom of my 3-year-old child’s feet once to help with a nighttime cough? Yep. Did it work? Nope. Does it seem to work on others? Maybe. I know a lot of grandmothers swear by it! Some essential oils may have some non-specific health benefits, but the research is somewhat scarce and not overwhelmingly positive. They are often marketed as having broad-based health benefits, which cannot be proven. The studies often neglect to mention the adverse effects of using the products. More non-industry-sponsored research is needed. Furthermore, essential oils aren’t thoroughly tested and regulated by the U.S. Food and Drug Administration (FDA) like other food and chemical products you might put in your body, and that scares me. Essential oils are considered “food supplements” and not drugs. The claim that essential oils make a daycare less likely to harbor viral infections in the winter is misguided. The science simply does not support it. A runny nose and droplets from a cough are not going to be sterilized by random vapors flowing through the air. What probably works better? Avoid sick contacts when possible, maintain good hand hygiene, and get an annual flu vaccine. Justin Morgan, MD, FAAP, is a board-certified pediatrician who practices general pediatrics in Louisville, Kentucky. He cares for children of all ages. Thanks for covering this! I had heard about it and was wondering. I think essential oils can be great to make a bath more relaxing or your house smell nice, but when it comes to babies and small kids you have to be careful! I think it’s really concerning when I see parents using them to treat things like hyperactivity and the flu…definitely need to think about evidence! Very interesting and good to know. It seems like all of a sudden essential oils are all the rage… I have even heard of parties where women are selling them and touting the benefits for children.